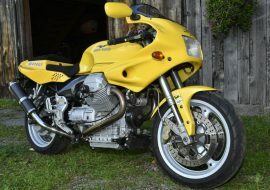 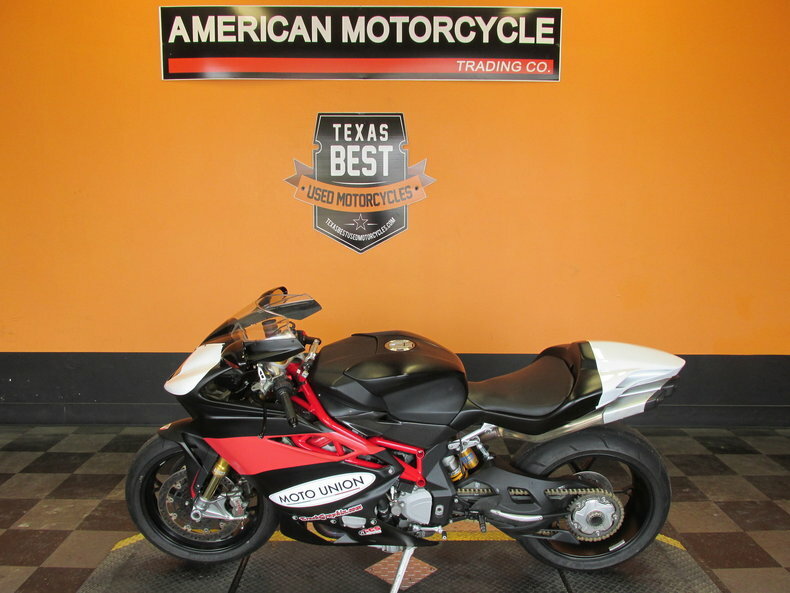 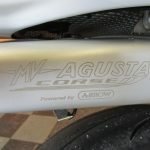 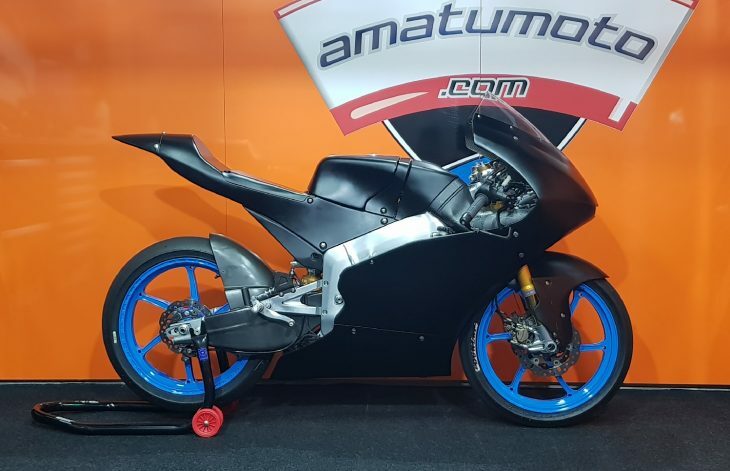 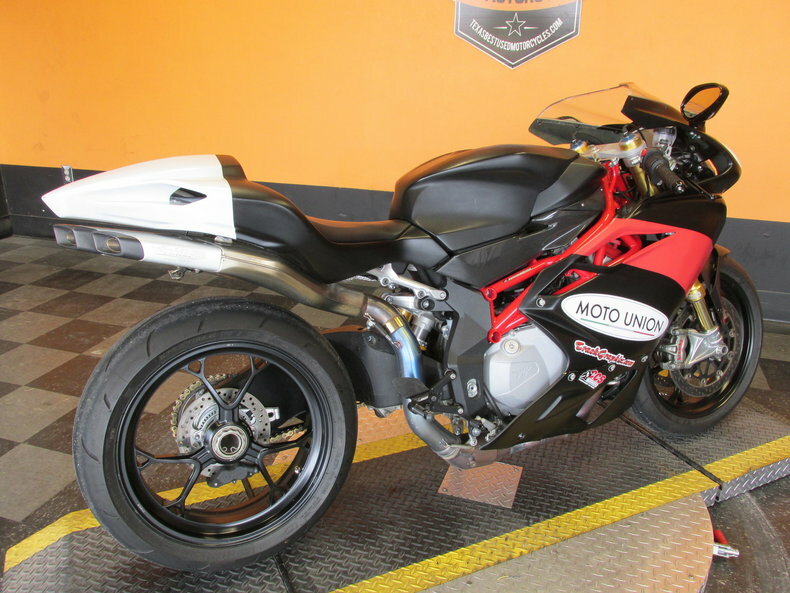 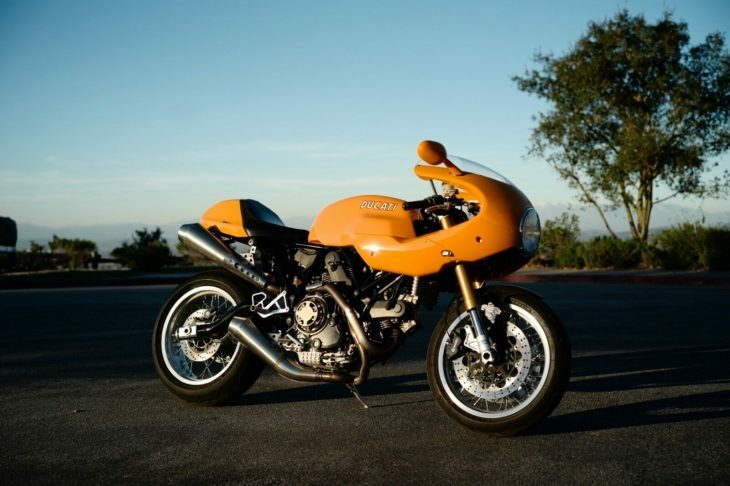 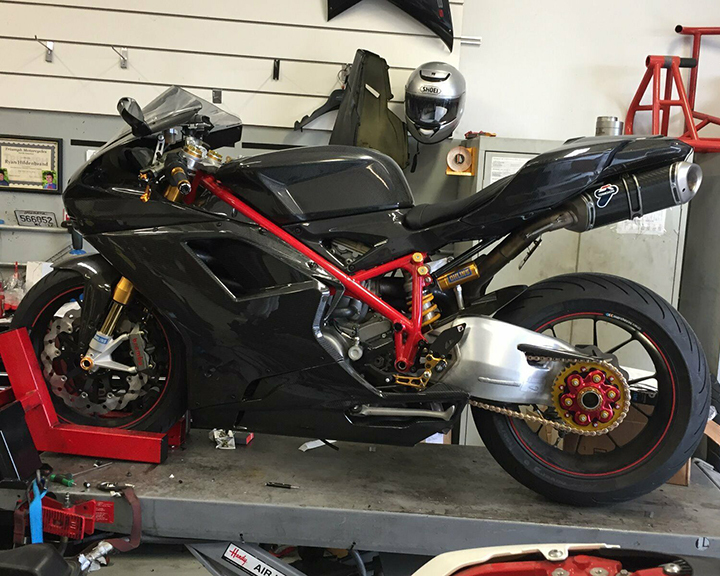 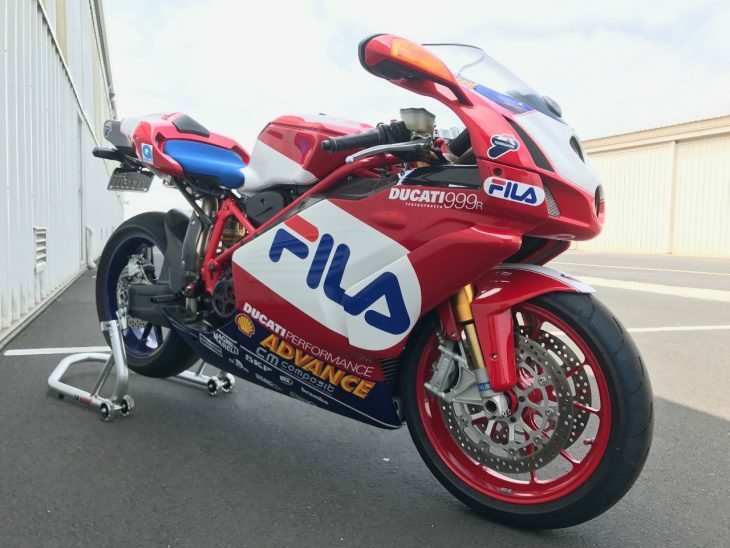 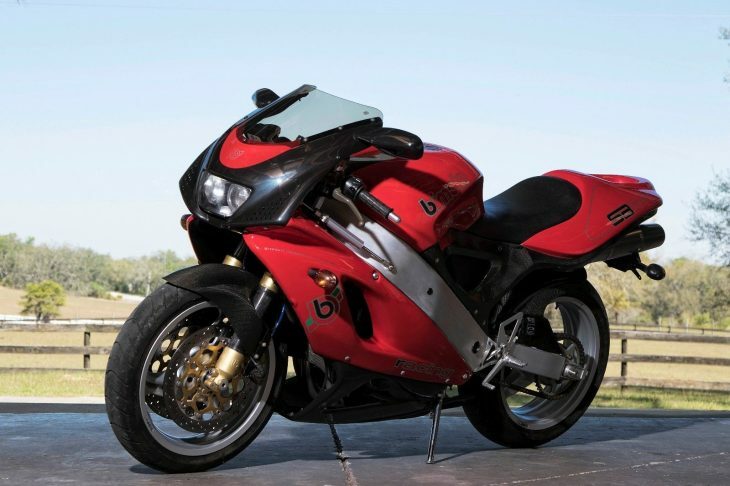 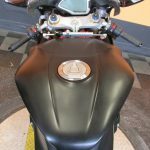 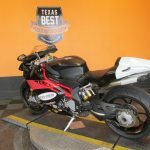 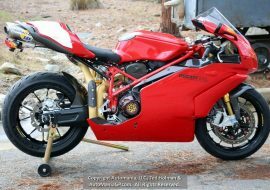 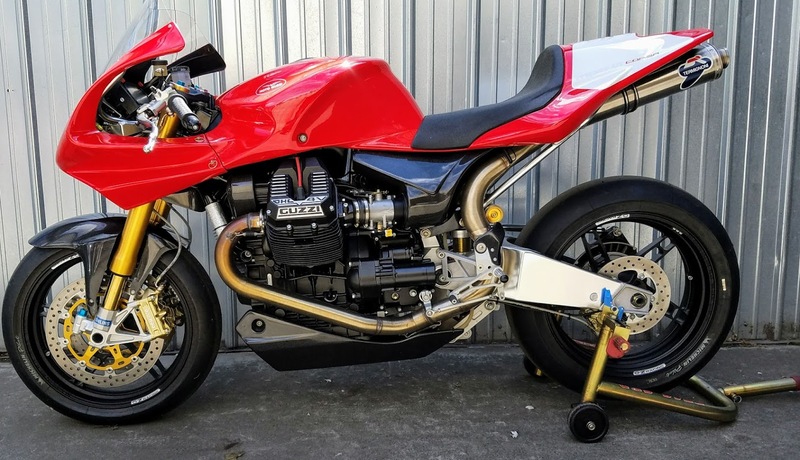 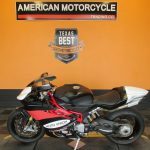 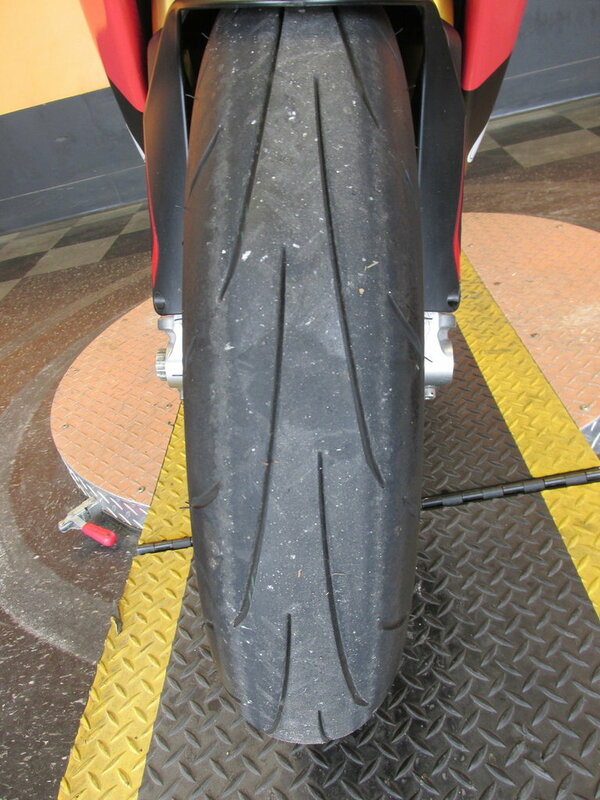 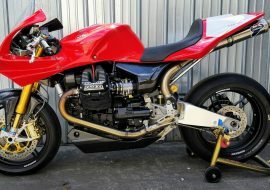 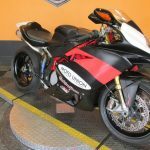 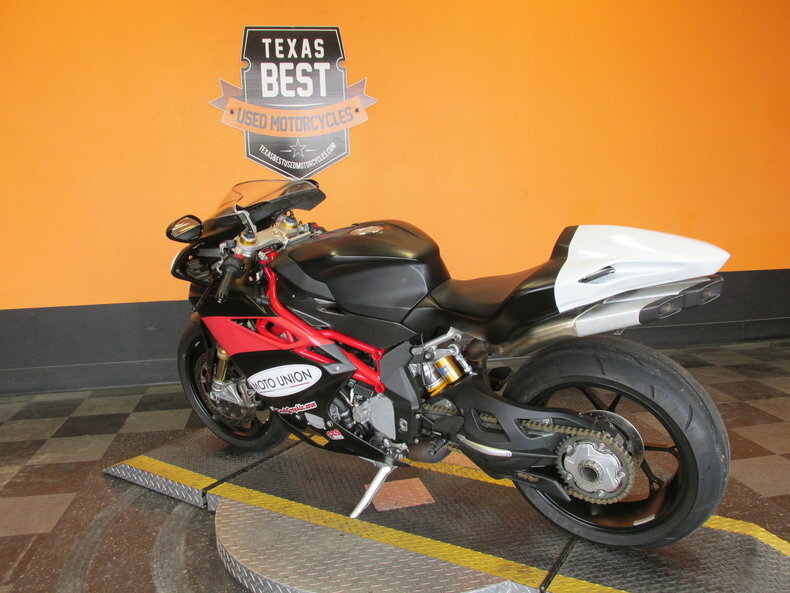 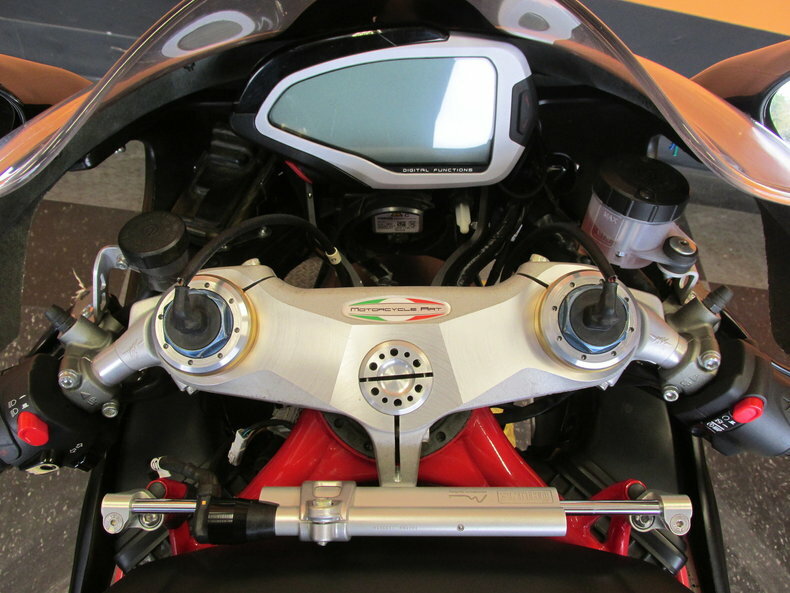 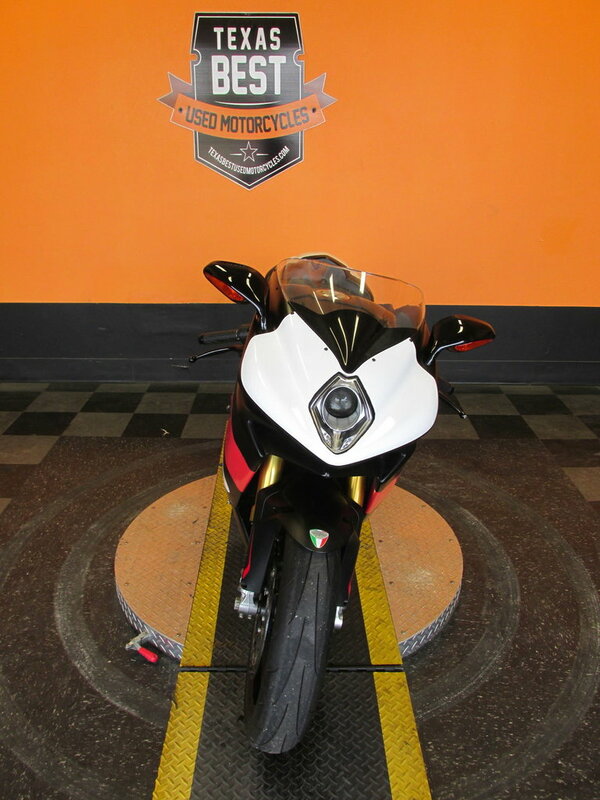 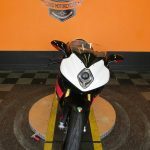 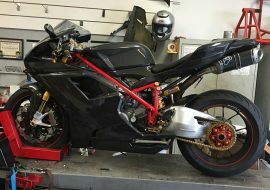 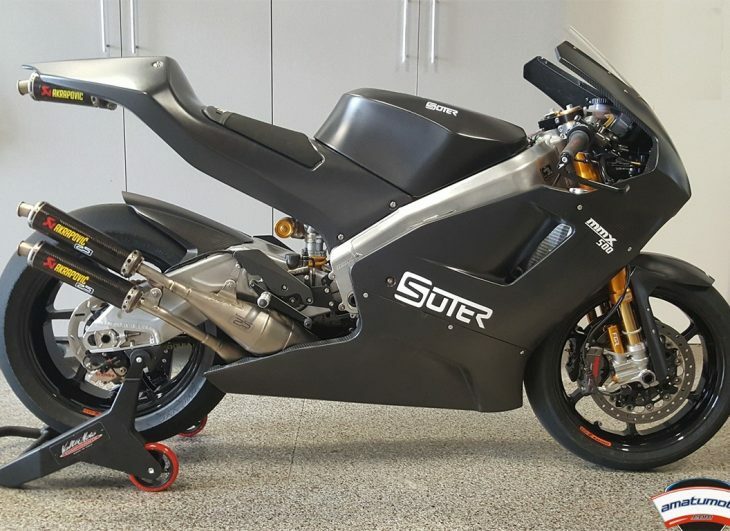 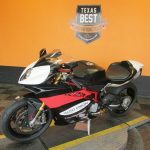 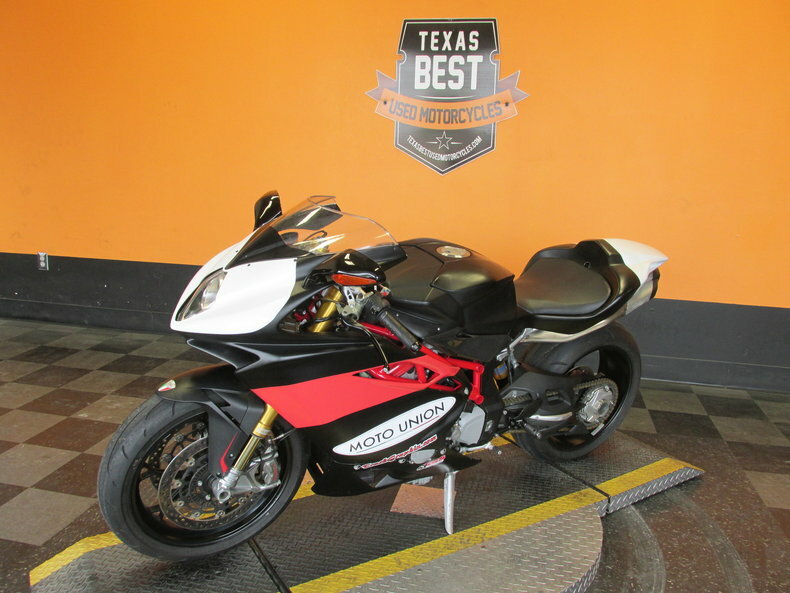 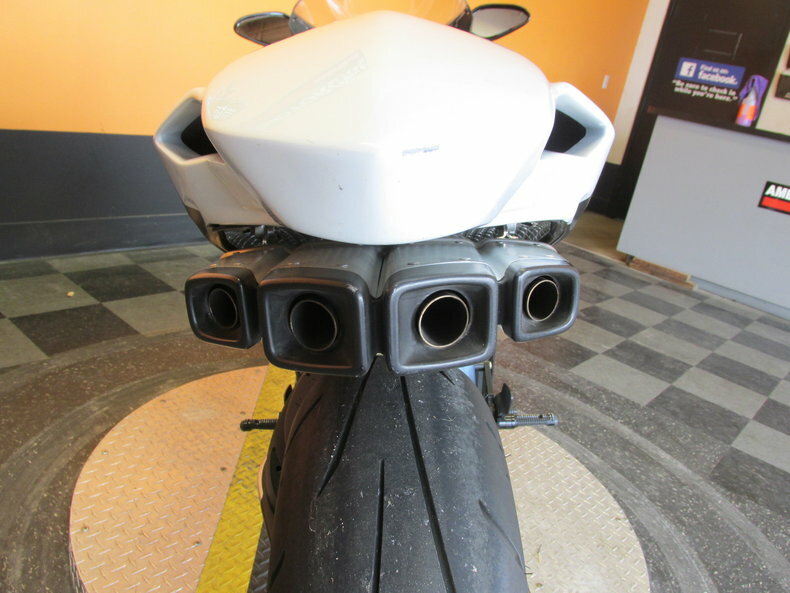 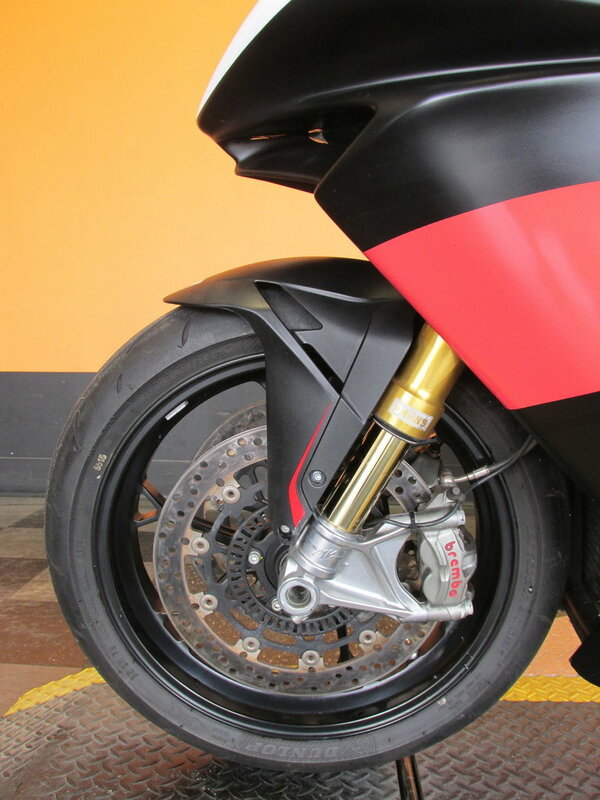 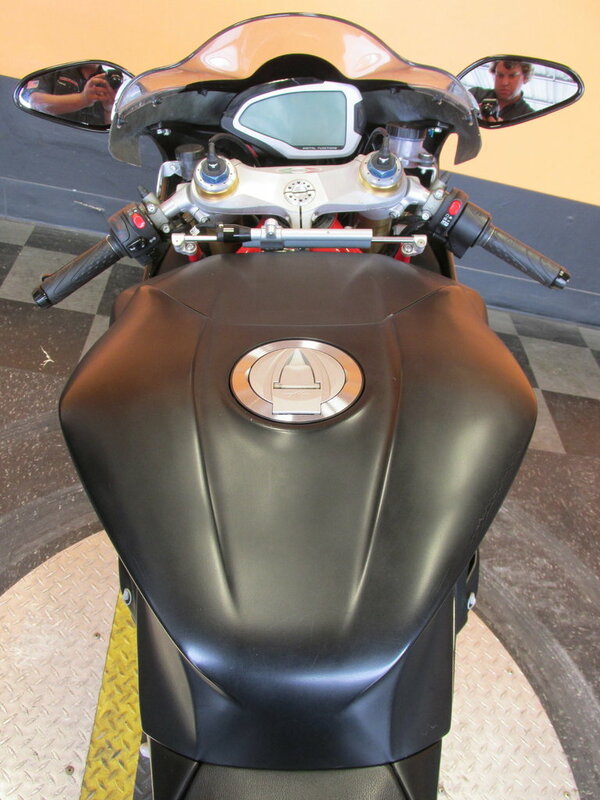 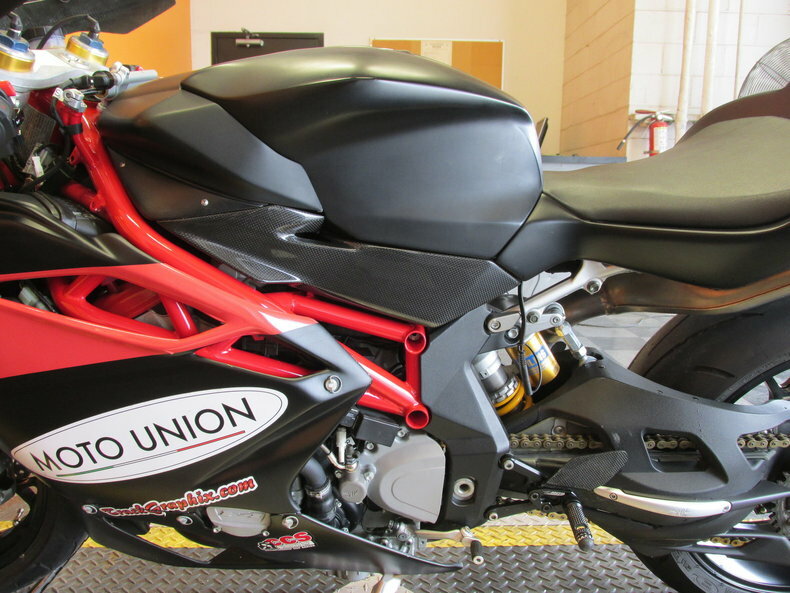 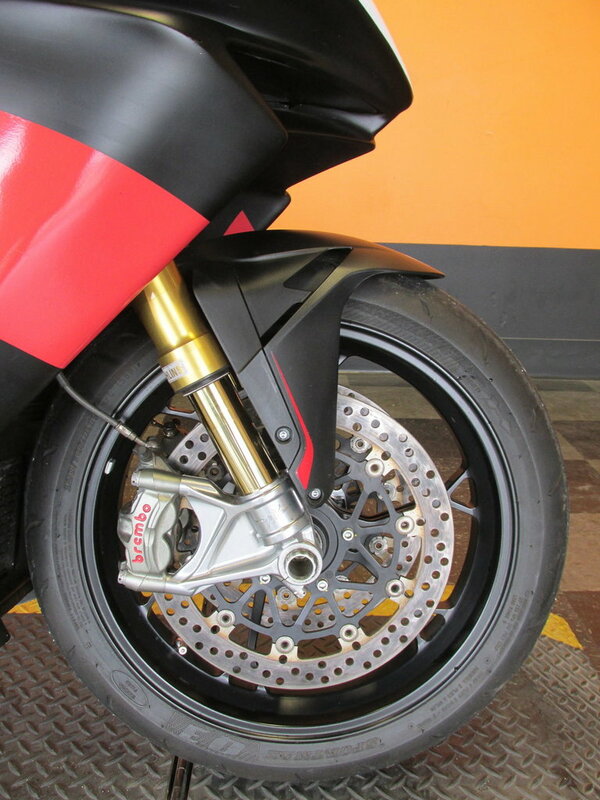 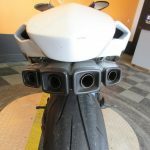 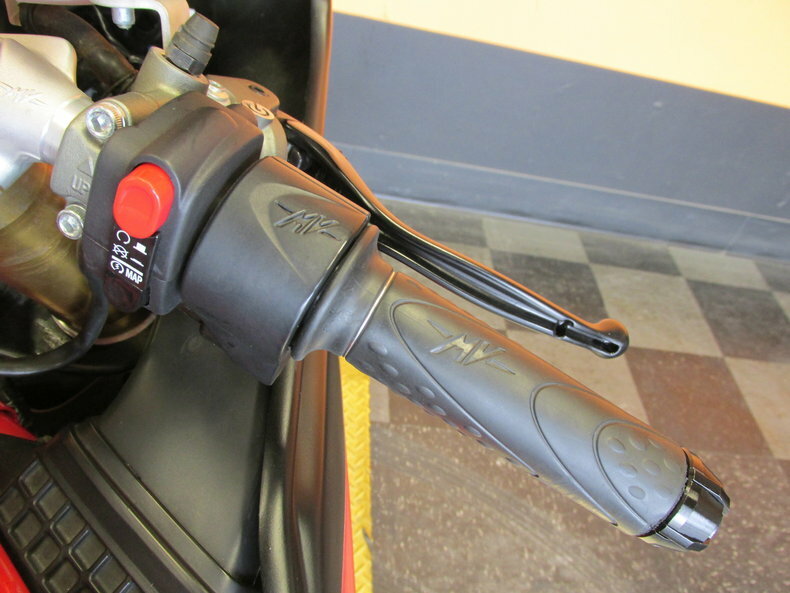 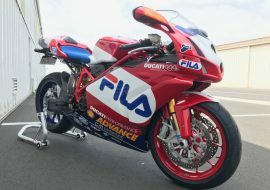 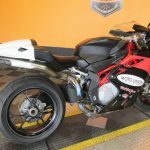 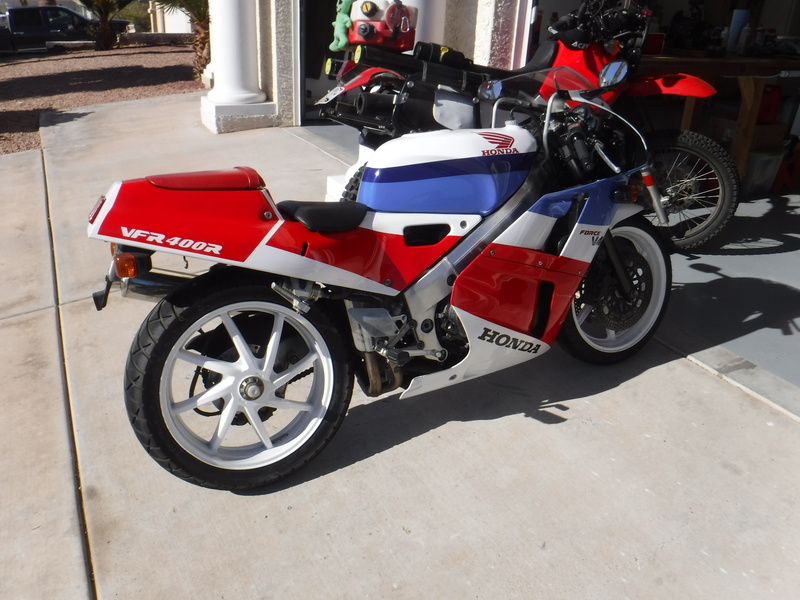 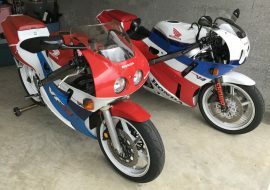 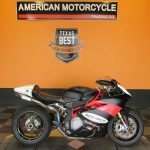 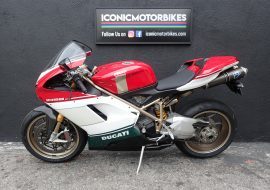 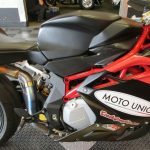 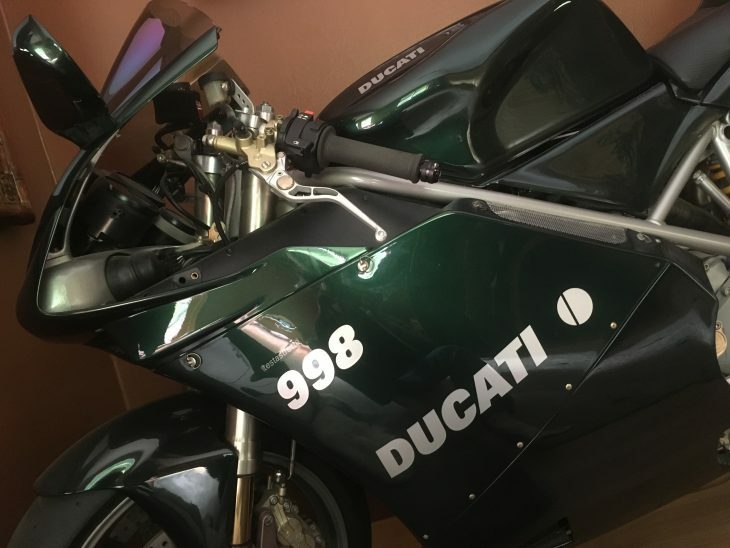 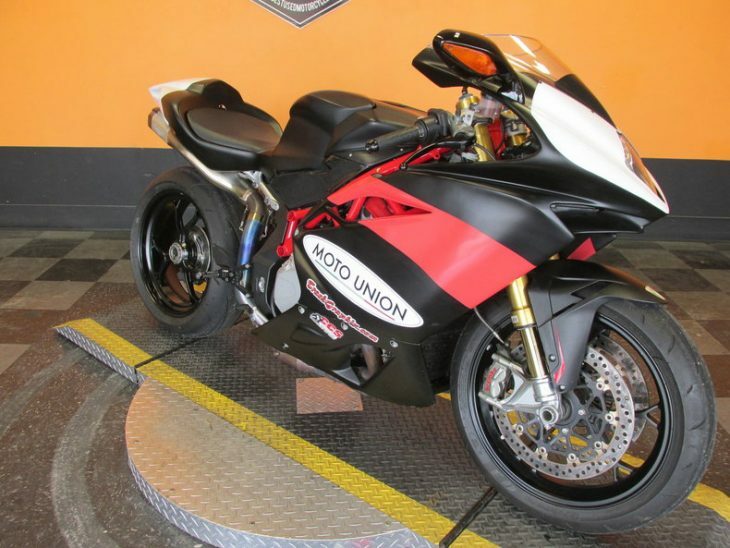 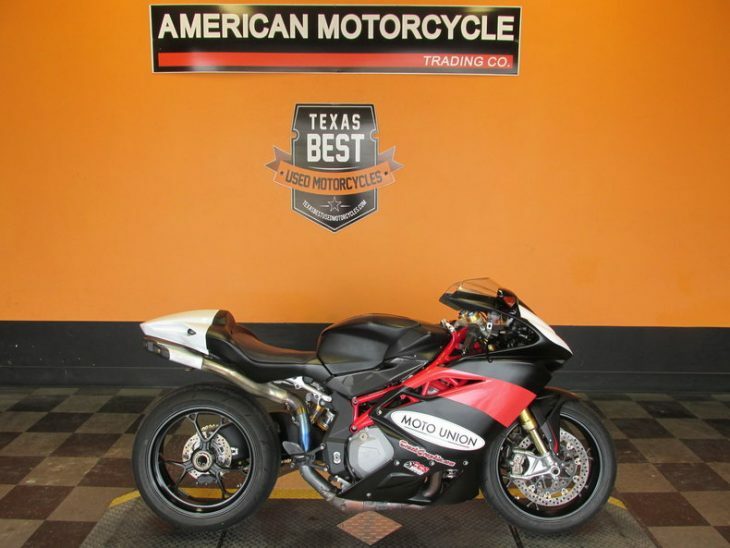 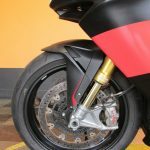 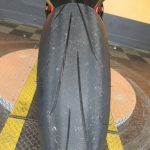 The seller of this 2013 MV Agusta F4-RR seems to know little about its history or provenance, but it appears to have been mostly for track use up to this point, and sports a monoposto tail section devoid of taillights or provisions for license plates. The ad says the bike has a clear title, but the dealer isn't standing behind it as a street bike. 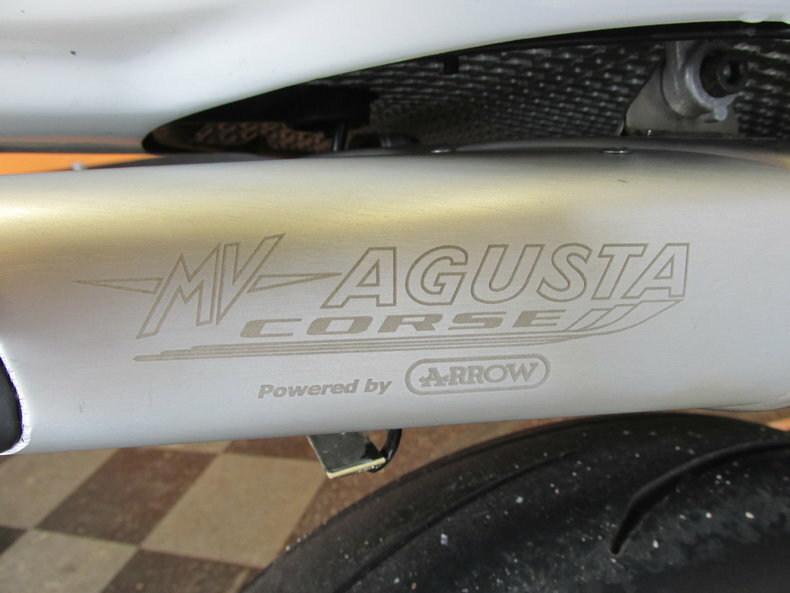 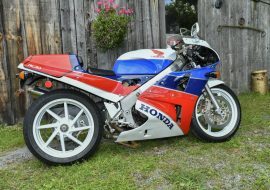 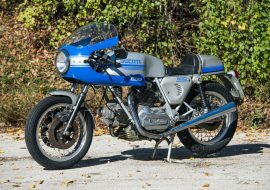 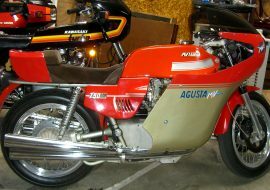 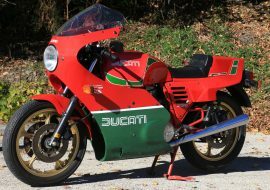 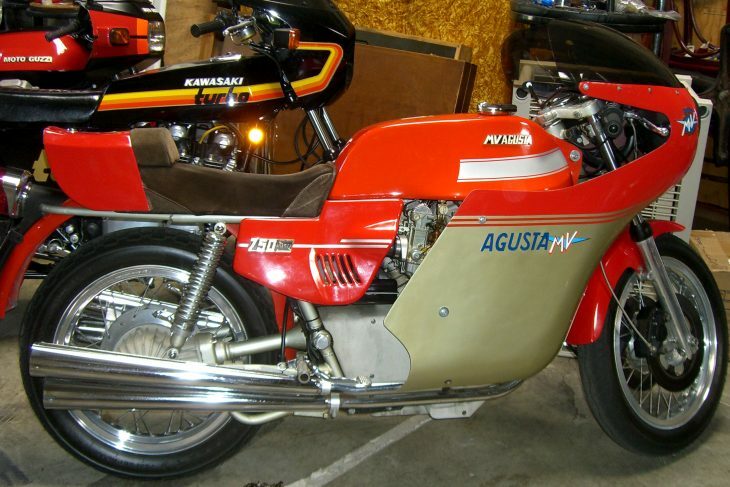 That said, MV Agusta F4-RRs are scarce as dog feathers, so if the numbers come back clean it's still a worthy grab for someone. 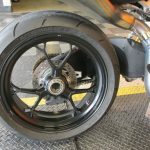 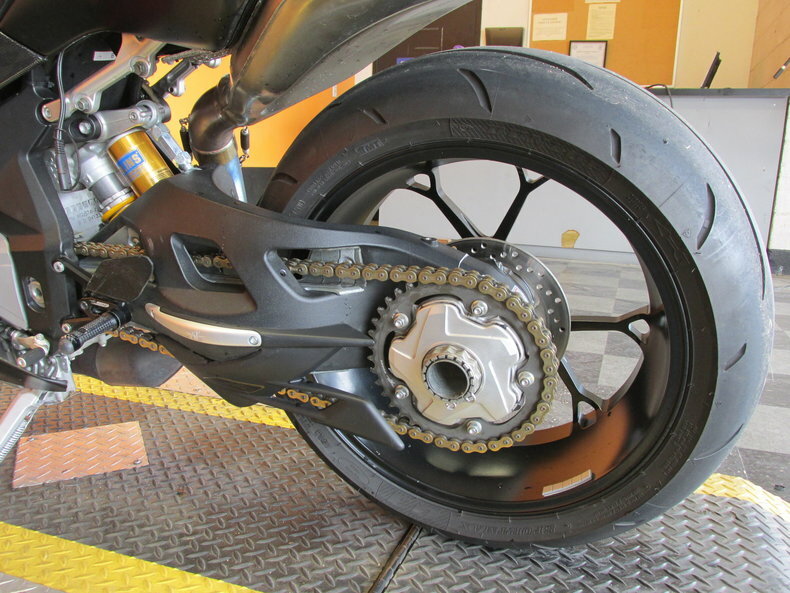 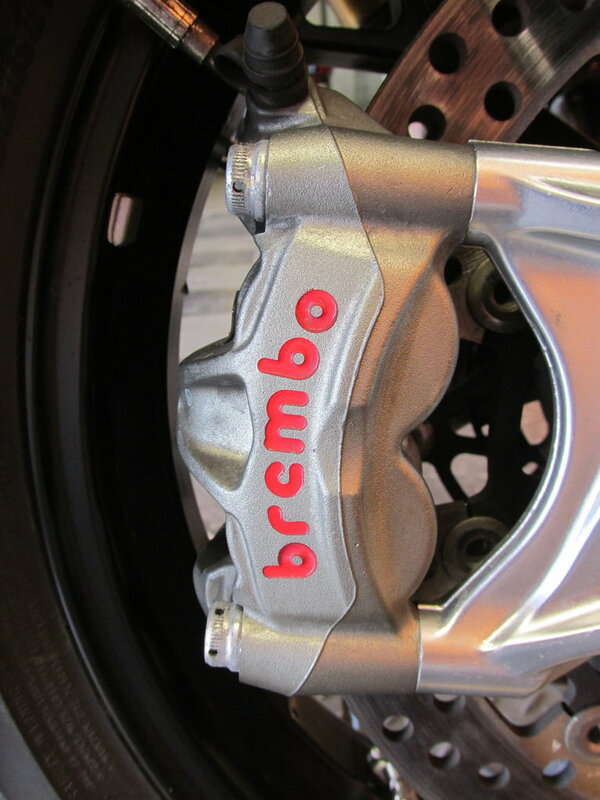 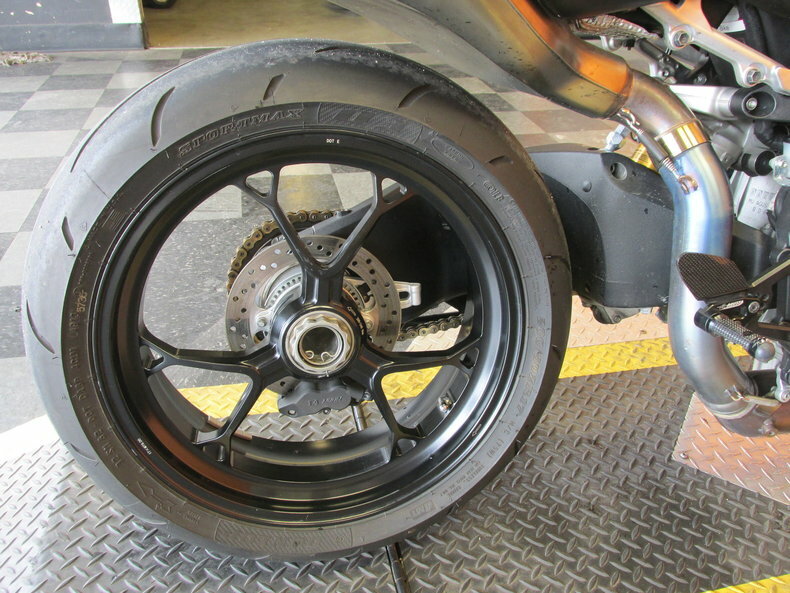 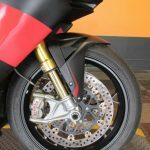 The RR version of MV's mighty F4 wears Brembo M50 monobloc brakes, cast aluminum wheels, Ohlins electronically adjustable suspension and switchable engine maps. 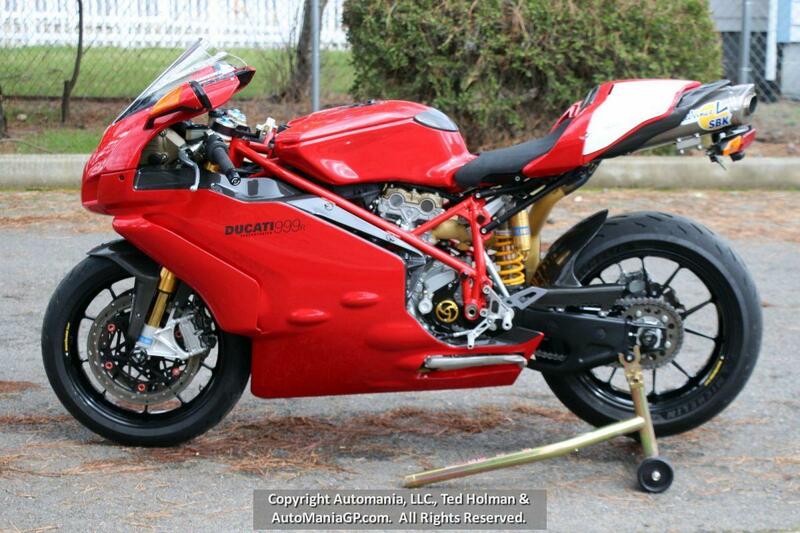 Oh, and it pushes out around 200 horsepower that carts around not much more than 420 pounds. 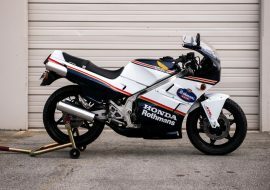 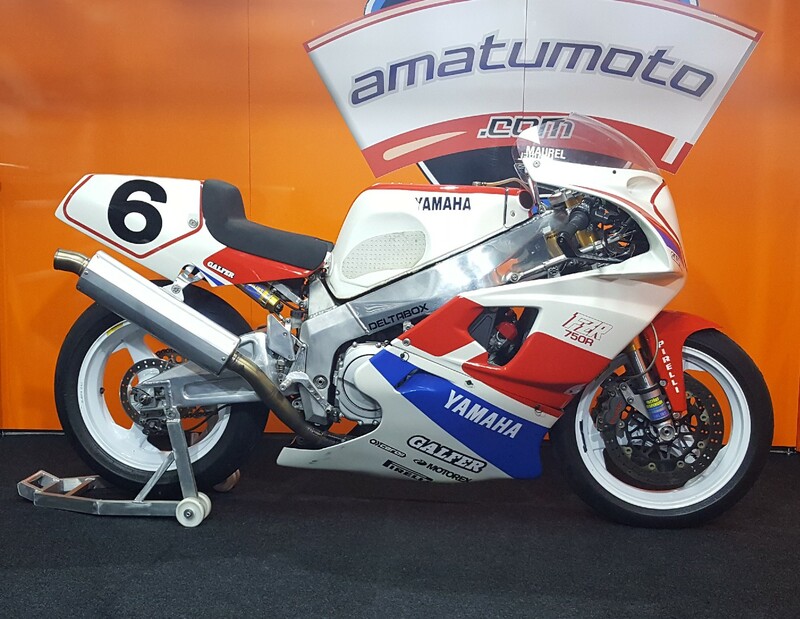 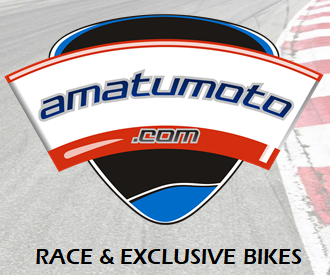 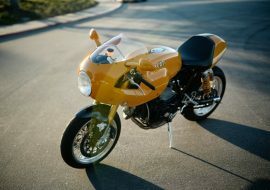 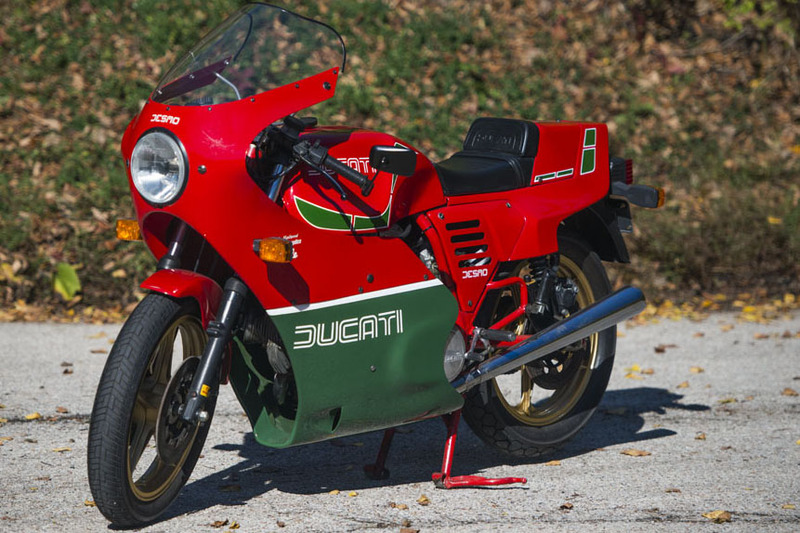 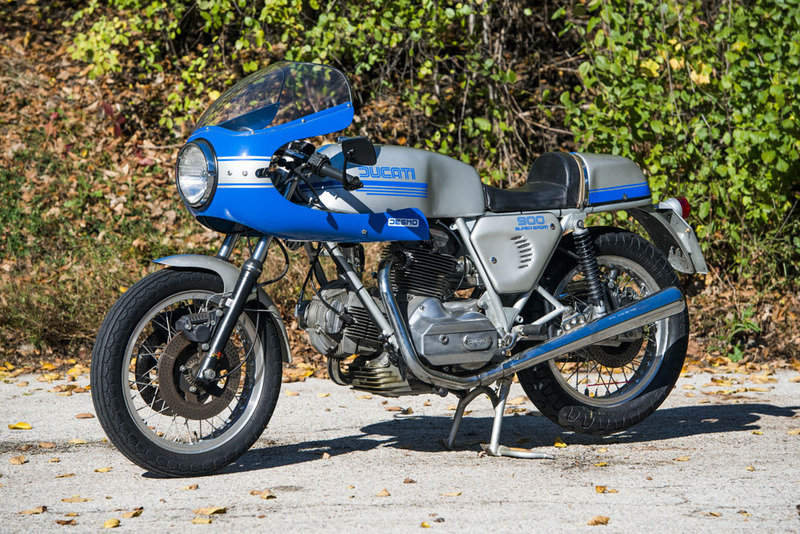 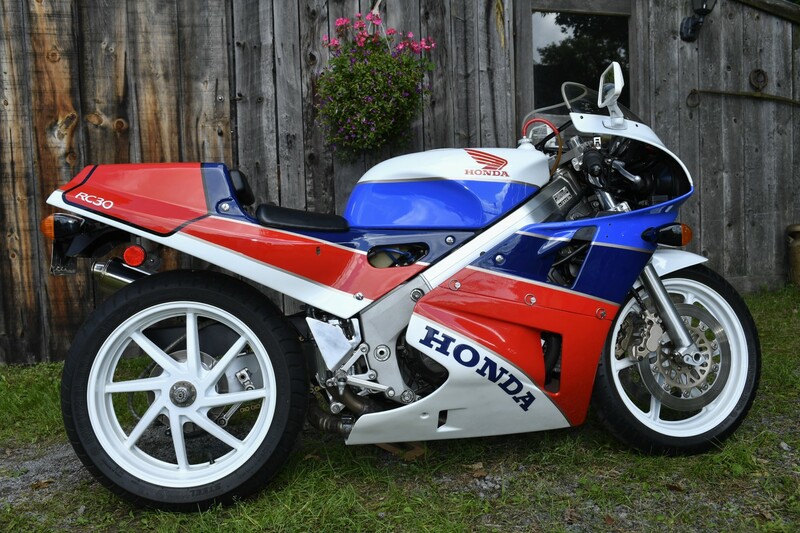 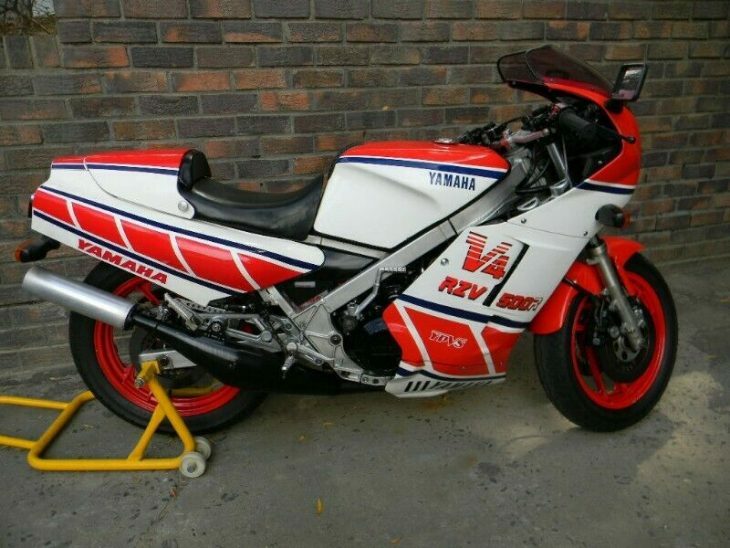 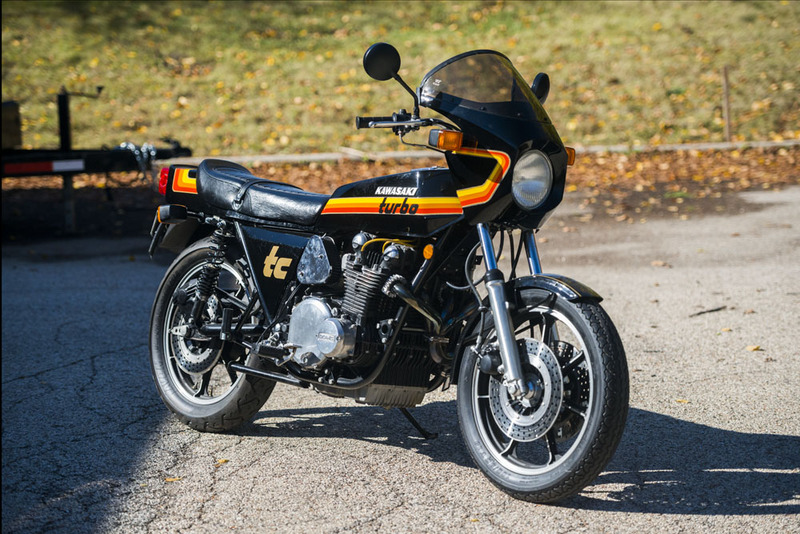 A great fun bike for the serious racer or collector. Call or come by and talk to one of our sales associates today so we can get your knees in the breeze on this great Track Bike today. 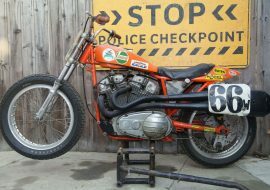 This Bike appears to have been set up to be ridden on a closed track, so we are selling her as is, we do not know of any apparent problems. 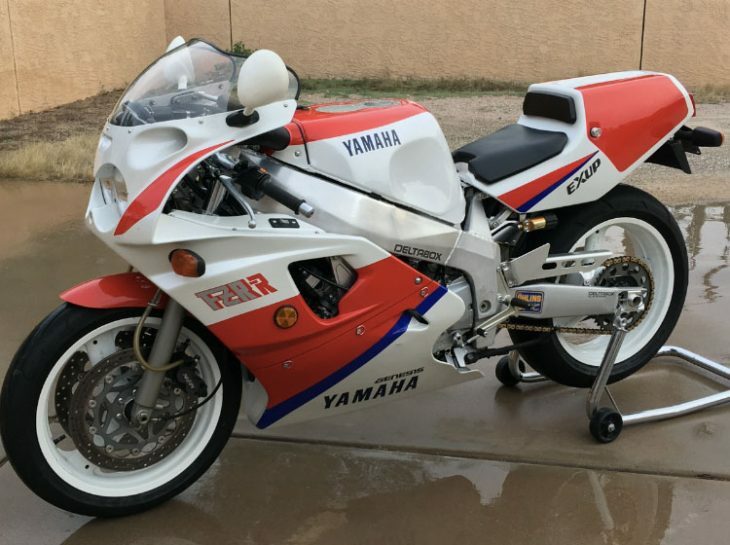 Because we have reason to believe she may have been run on a track we are selling her "as is", "with all faults" and for "Track use only" and the price reflects this. 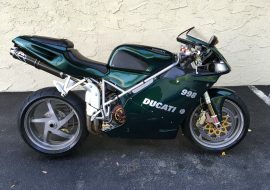 Any street use or ability to restore her to street use is NOT warranted. 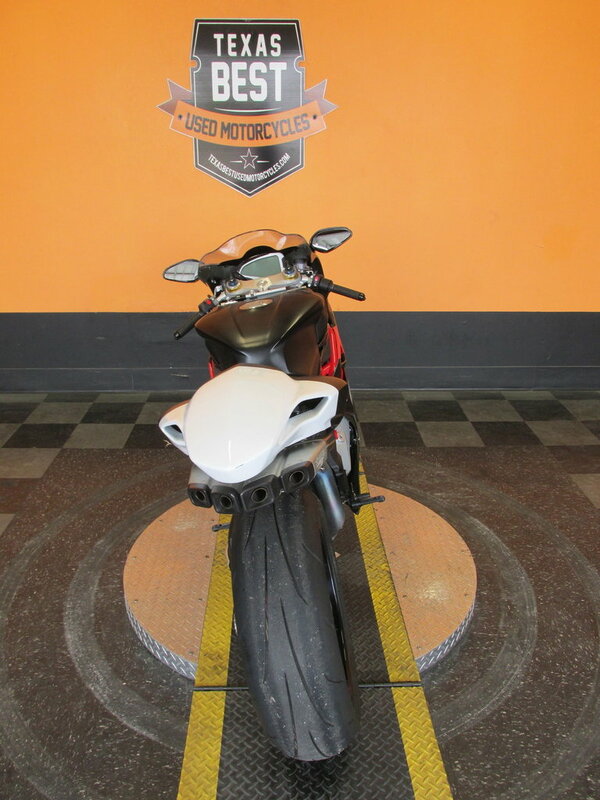 Further we do not Warrant, expressly or implied, that this bike is suitable for such use. 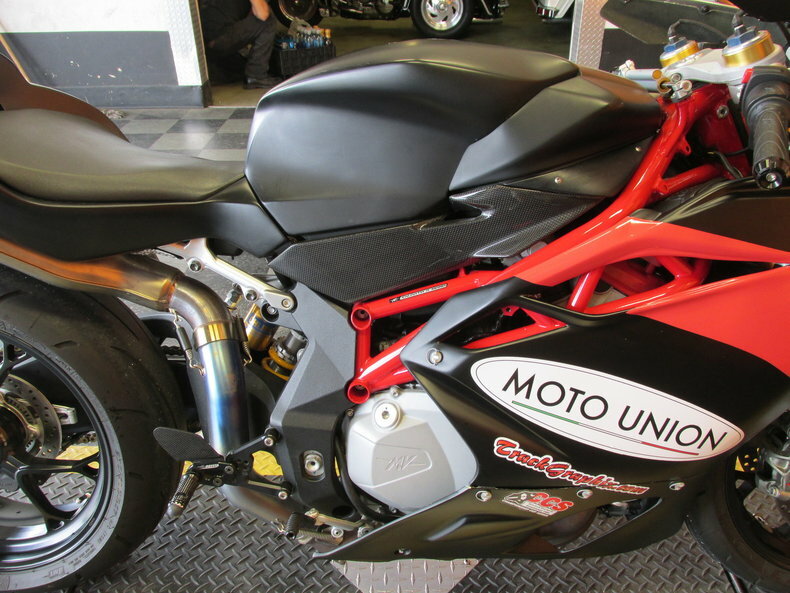 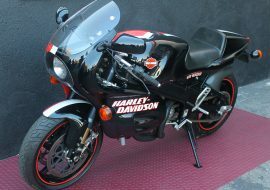 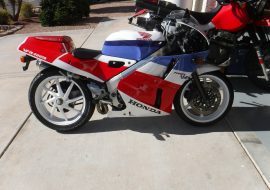 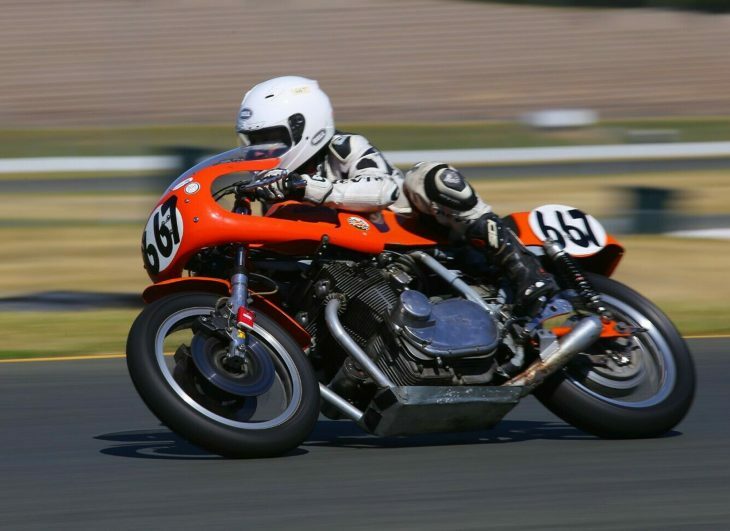 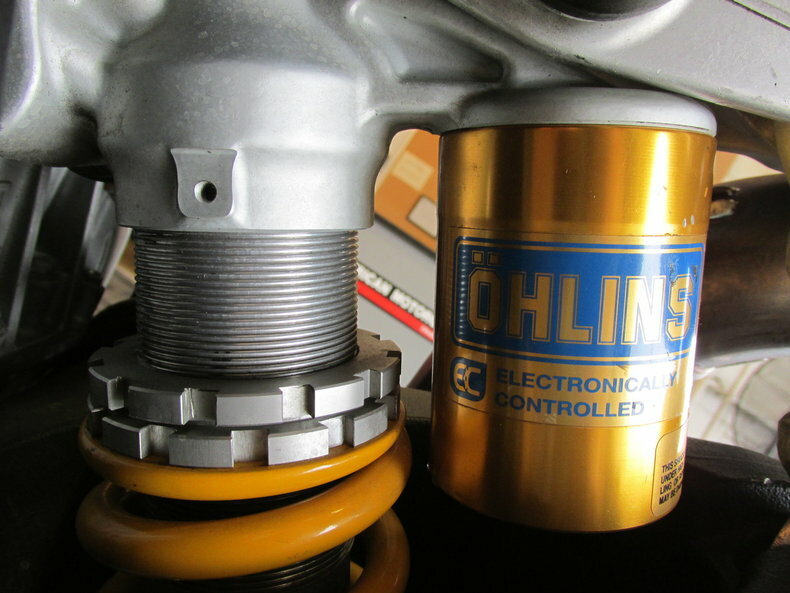 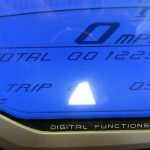 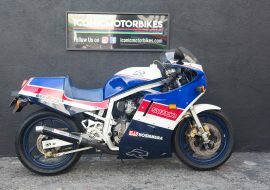 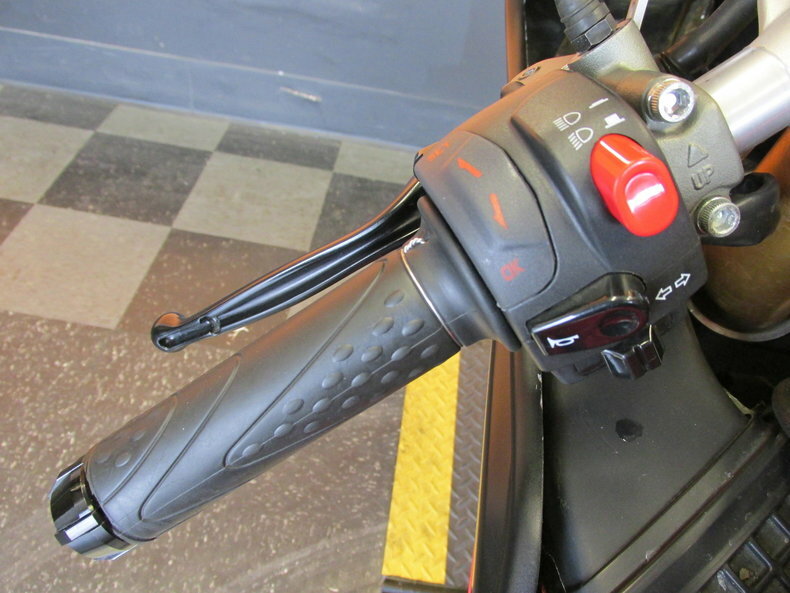 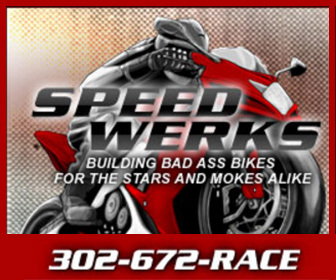 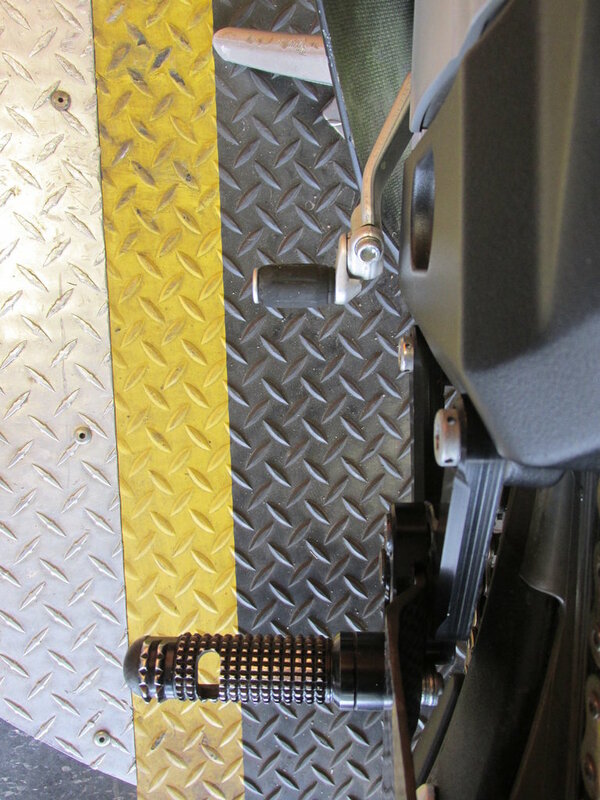 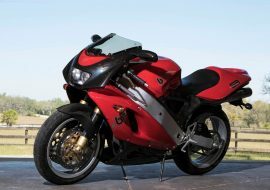 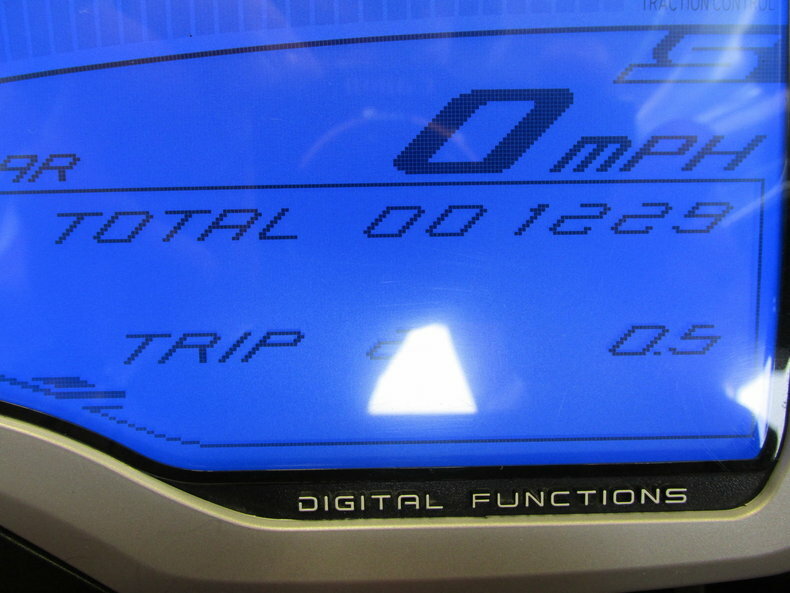 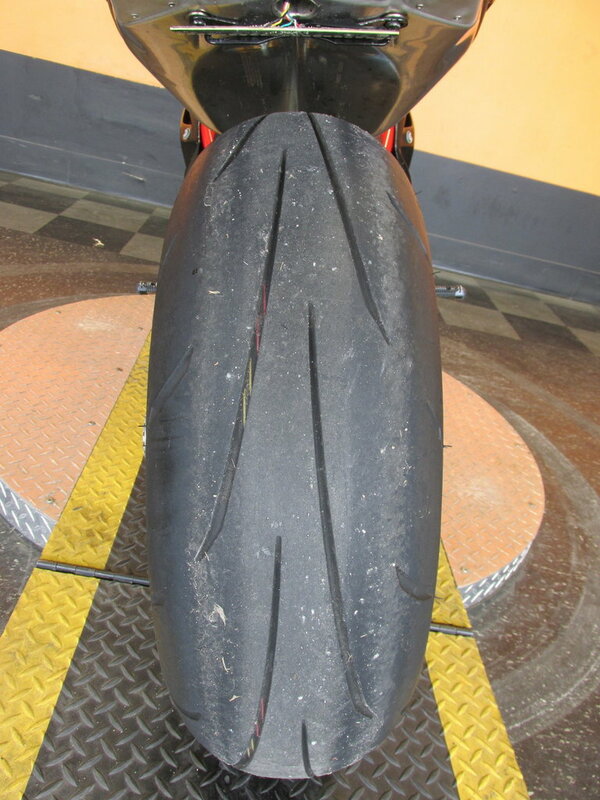 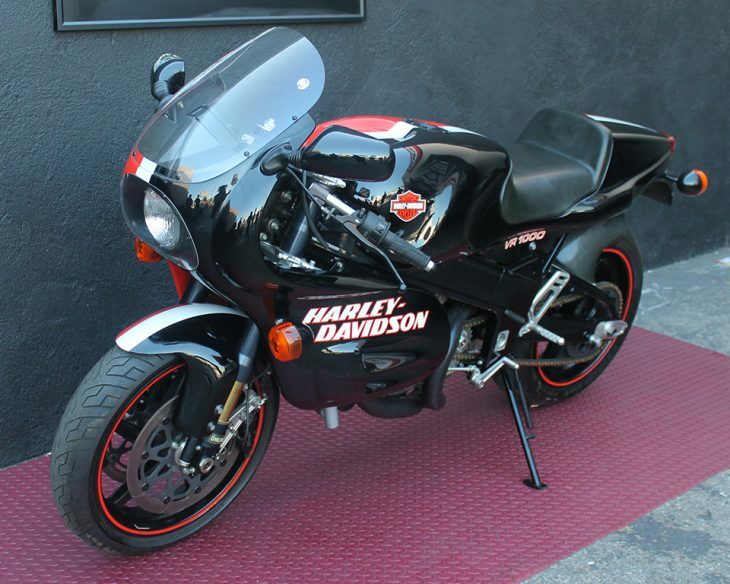 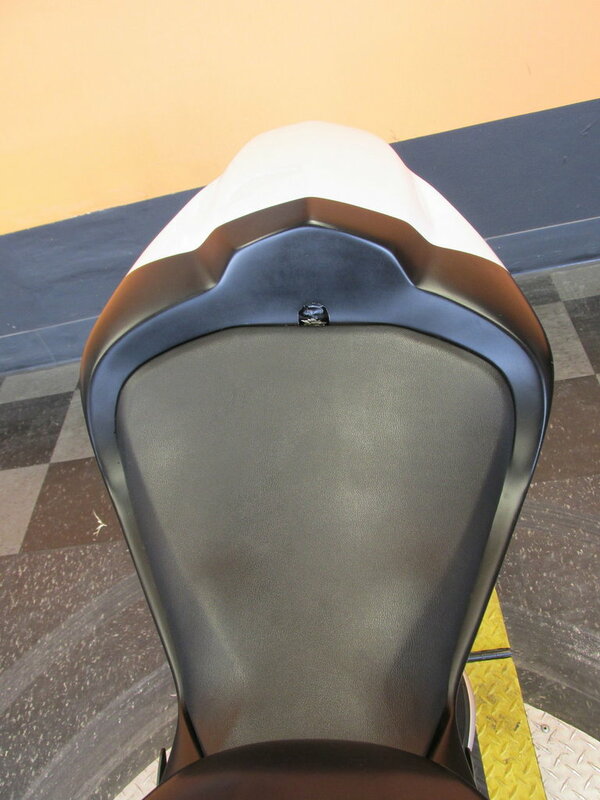 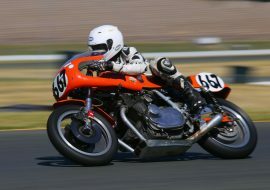 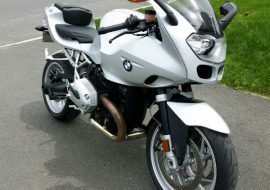 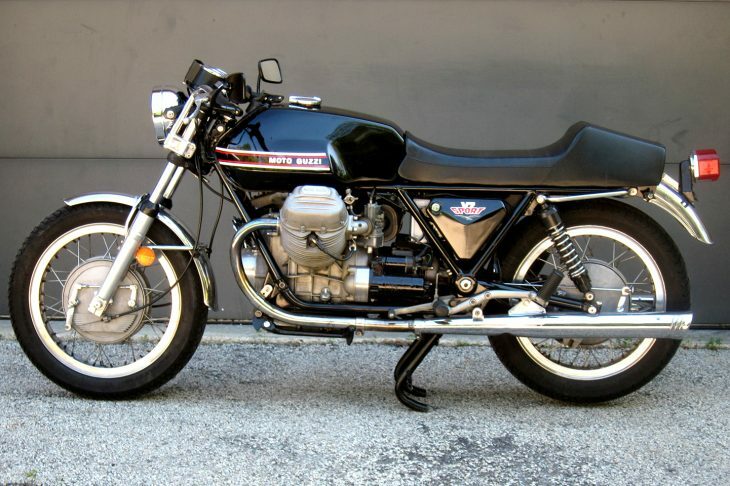 This motorcycle has been modified for track use, thereby voiding any factory or seller warranty. 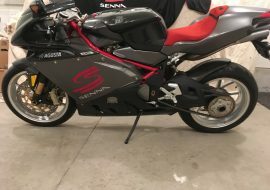 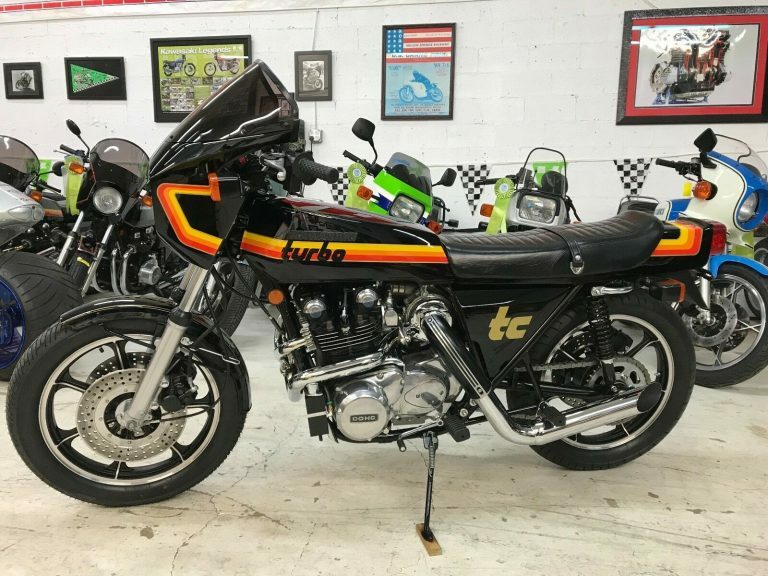 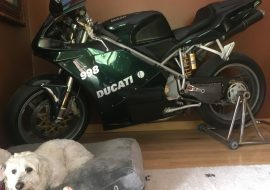 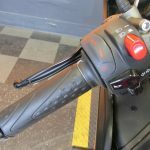 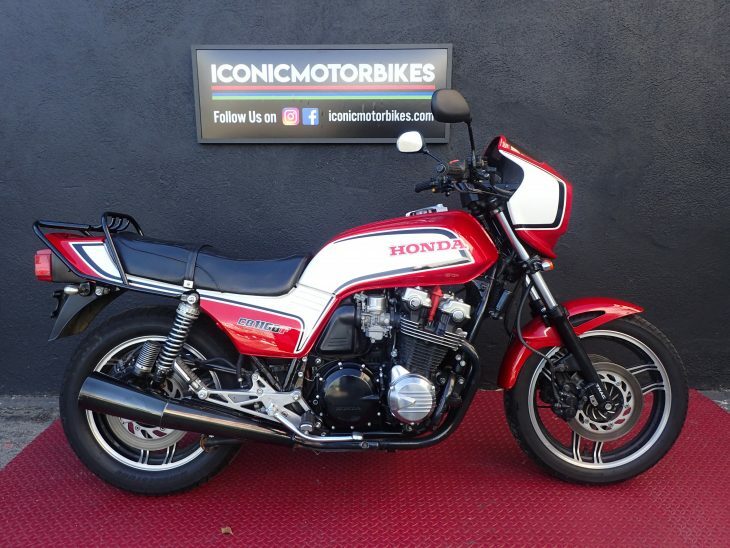 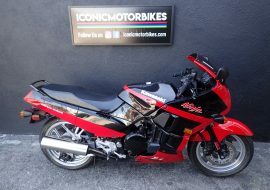 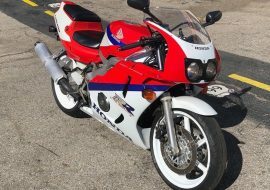 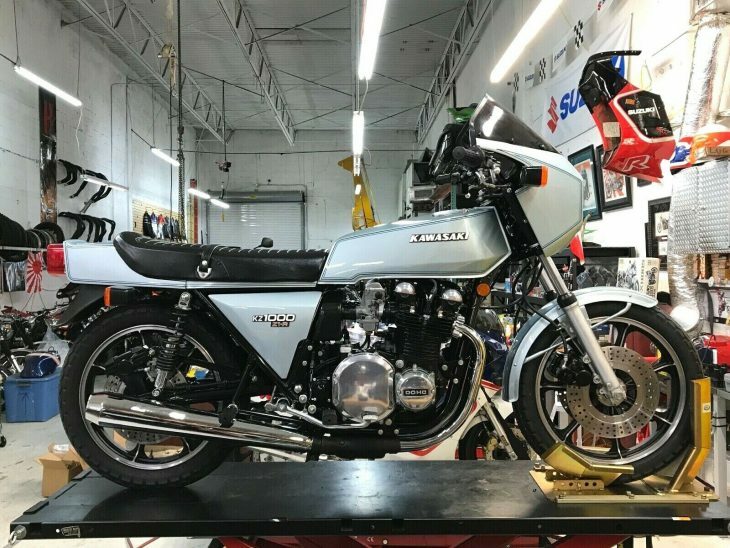 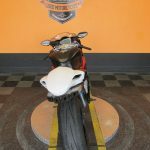 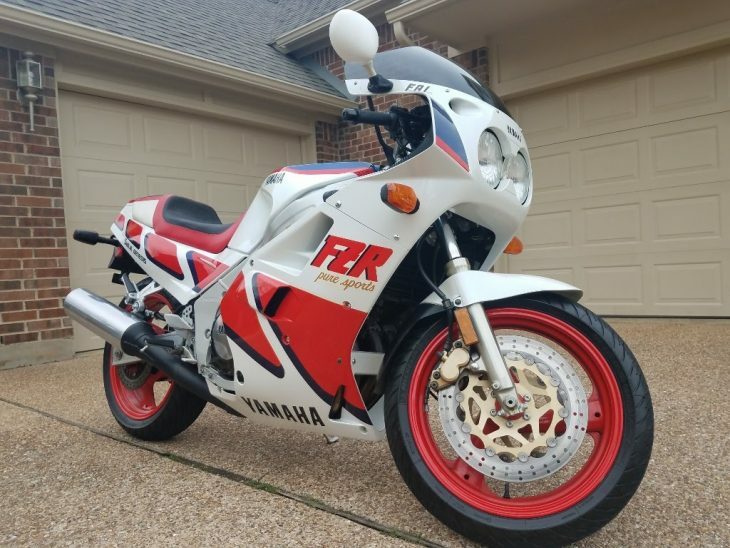 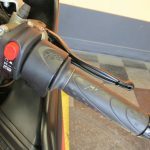 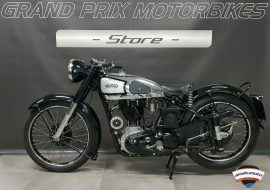 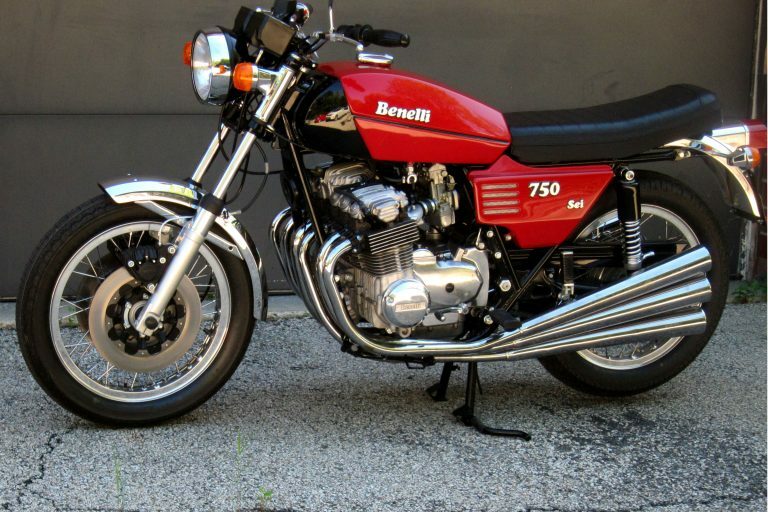 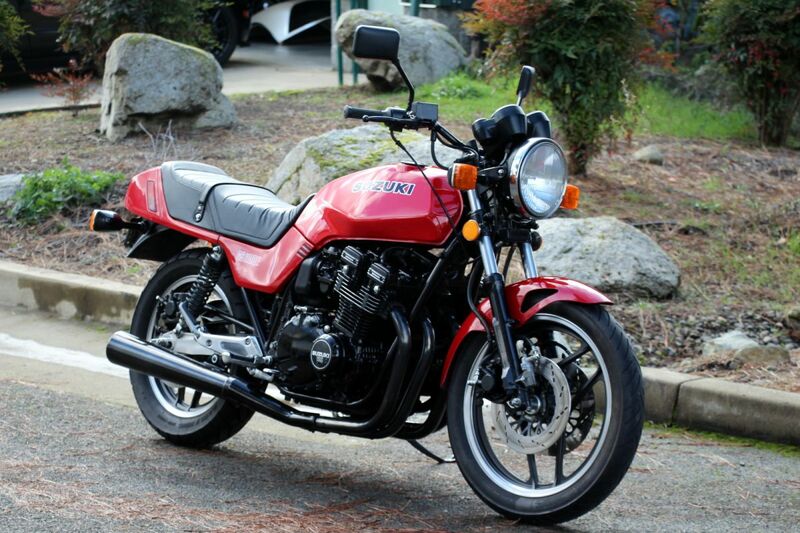 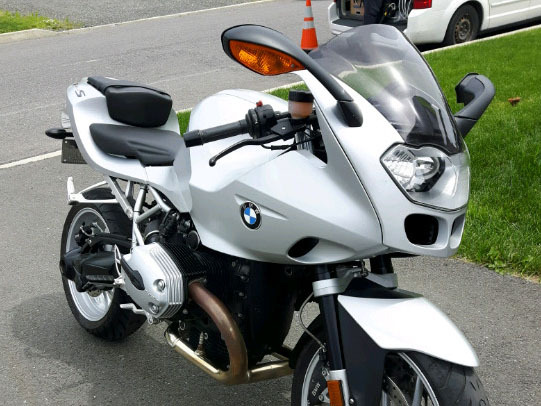 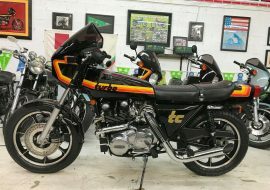 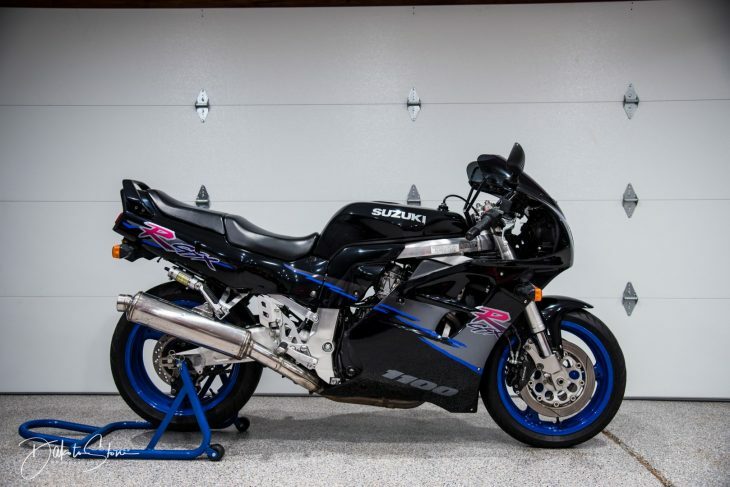 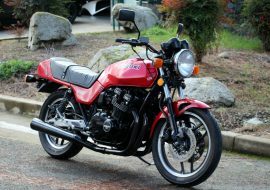 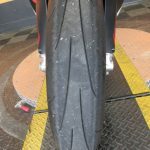 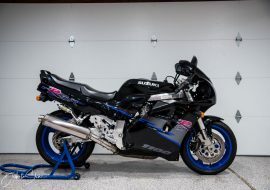 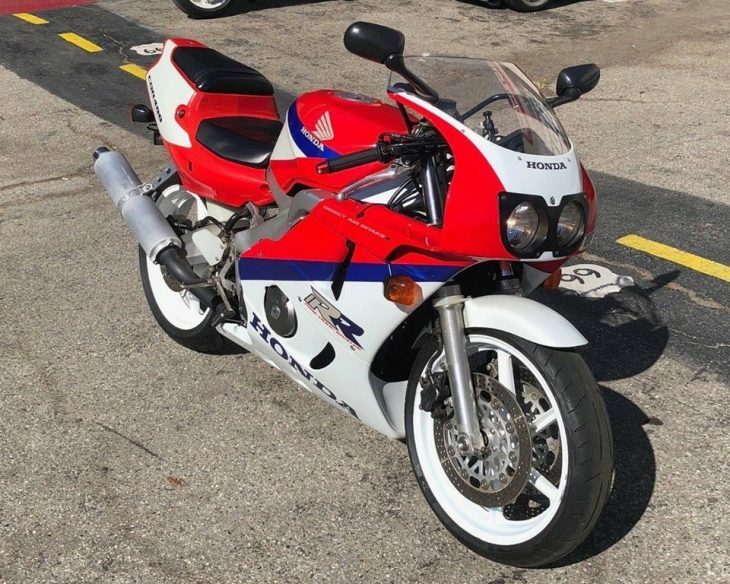 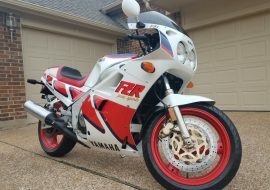 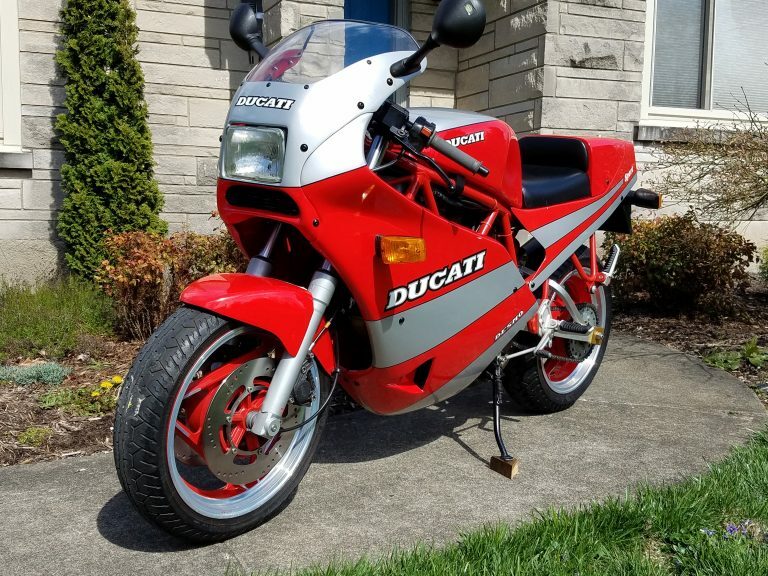 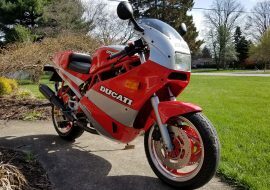 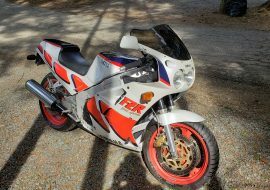 The buyer is expected to practice due diligence when purchasing this bike and check all pictures and descriptions of the bike to insure it is what they want. 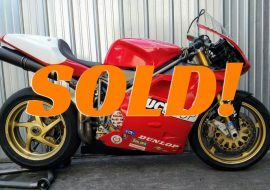 If you have any questions please ask them before purchasing. 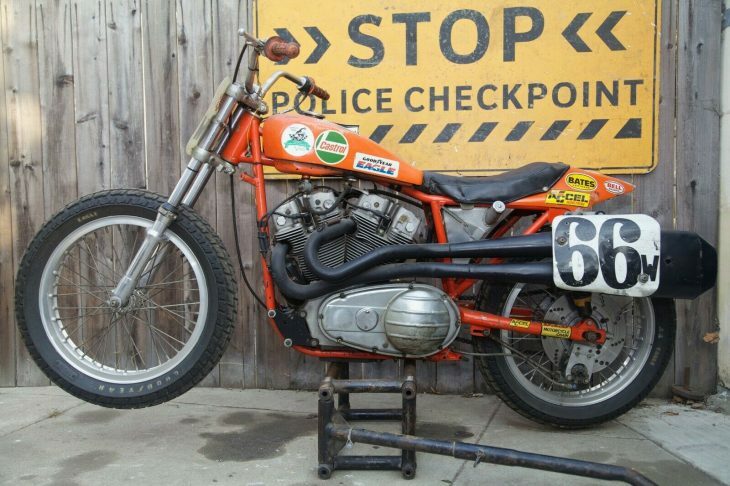 FOR OFF ROAD USE ONLY. 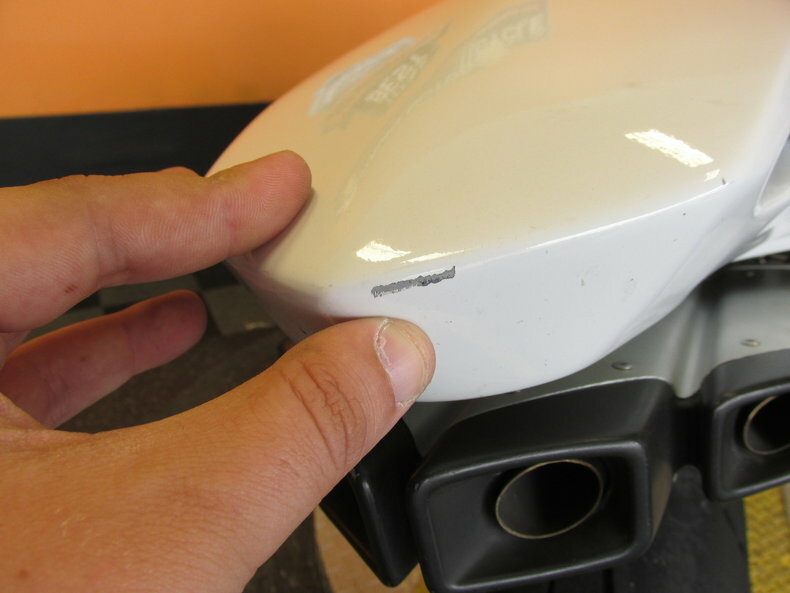 There are no warranties which extend beyond the description on the face hereof. 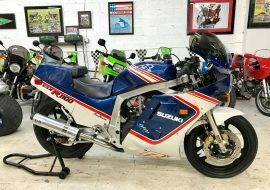 Some of these bikes are New Inventory and have not been through our shop yet. 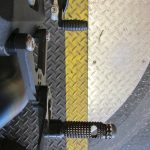 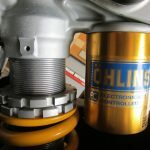 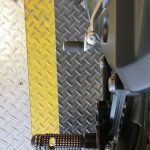 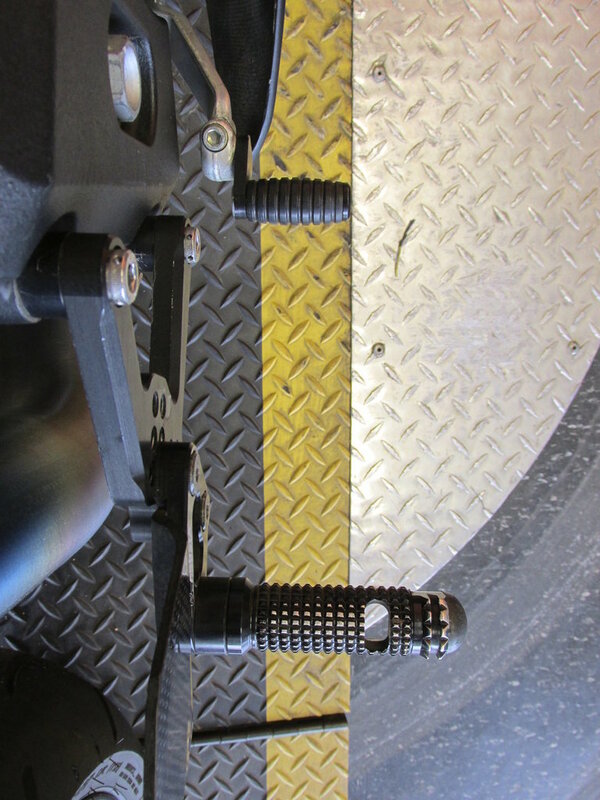 Some parts may not function or otherwise meet our quality standards and may be removed or replaced during our shop's inspection,any changes will be at our Service Managers sole discrection. 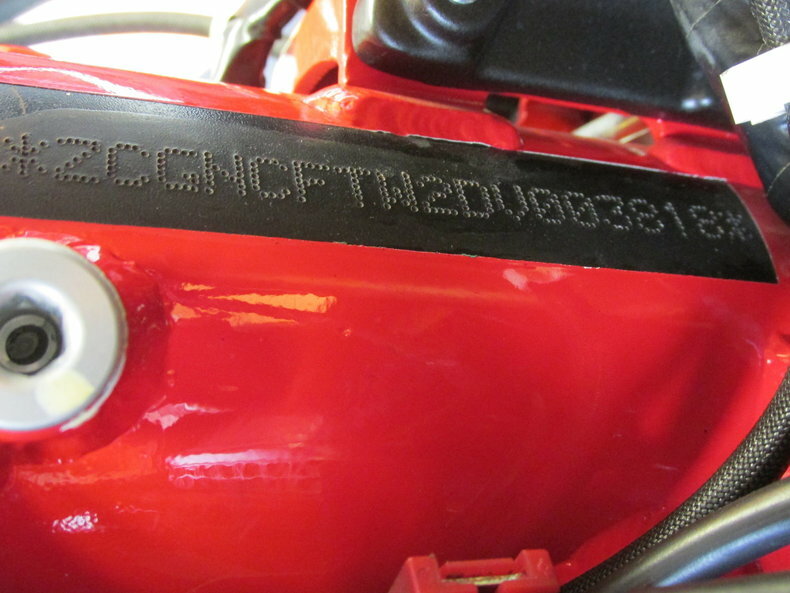 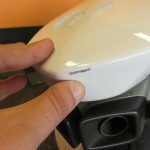 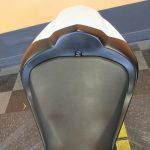 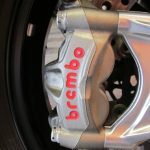 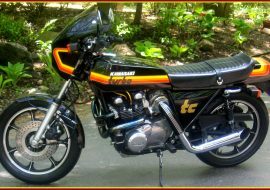 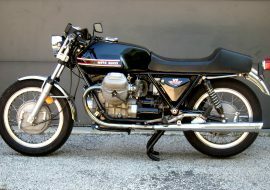 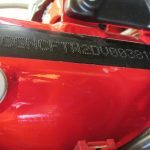 The initial picture(s) represents a 'First Look' at the bike, so that you can get a general idea of the bikes condition. 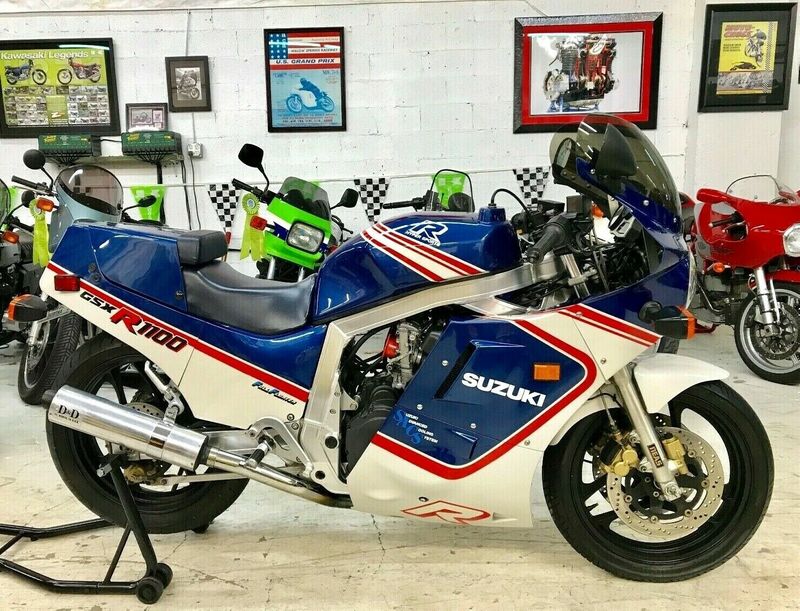 The asking price under $12,000 seems a little low, but since the seller seems to know little about the machine and what its past life was like, there could be good reason for that.